Located in the heart of Tyler, this hotel is within 3 mi (5 km) of Broadway Square Mall, Rose Rudman Park, and The Village at Cumberland Park. Faulkner Park is 2.5 mi (4 km) away. Situated near the airport, this hotel is 1.4 mi (2.3 km) from Caldwell Zoo and within 6 mi (10 km) of Tyler Junior College and Goodman-LeGrand House & Museum. Tyler Municipal Rose Garden Center and Museum and Cotton Belt Depot Museum are also within 6 mi (10 km). 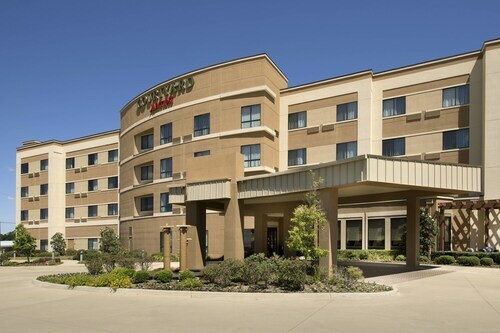 Situated in the business district, this hotel is within 3 mi (5 km) of University of Texas at Tyler, Tyler Museum of Art, and Broadway Square Mall. Discovery Place Museum and Tyler Municipal Rose Garden Center and Museum are also within 6 mi (10 km). 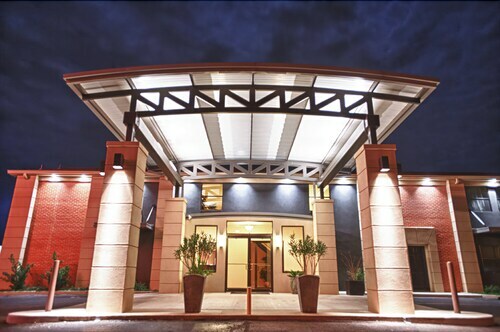 Located in the heart of Tyler, this hotel is 1.1 mi (1.8 km) from Broadway Square Mall and within 3 mi (5 km) of Rose Rudman Park and Children’s Park of Tyler. Tyler Junior College and University of Texas at Tyler are also within 6 mi (10 km). 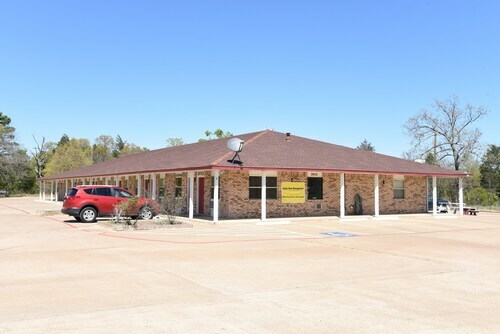 Situated in Tyler, this motel is within 3 mi (5 km) of Caldwell Zoo, Tyler Municipal Rose Garden Center and Museum, and Goodman-LeGrand House & Museum. McClendon House and Cotton Belt Depot Museum are also within 6 mi (10 km). Situated in Tyler, this motel is 0.9 mi (1.4 km) from Parrott Park and Agricultural Museum and within 9 mi (15 km) of Caldwell Zoo and Tyler State Park. Pine Springs Golf Course and Goodman-LeGrand House & Museum are also within 12 mi (20 km). Situated in Tyler, this hotel is within 3 mi (5 km) of Rose Rudman Park, University of Texas at Tyler, and Tyler Junior College. Tyler Museum of Art and Center for Earth and Space Science Education are also within 3 mi (5 km). Situated in Van, this motel is 6 mi (9.7 km) from Garden Valley Golf Resort and 11.1 mi (17.9 km) from East Texas Gators and Wildlife Park. First Monday Trade Days and Salt Palace Museum are also within 16 mi (25 km). 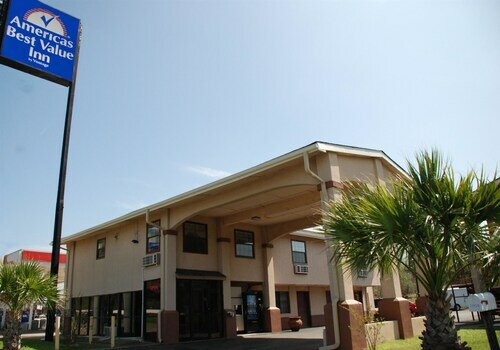 Located in the heart of Tyler, this hotel is 1.1 mi (1.7 km) from University of Texas at Tyler and 1.7 mi (2.8 km) from Tyler Junior College. Tyler Museum of Art and Center for Earth and Space Science Education are also within 3 mi (5 km). 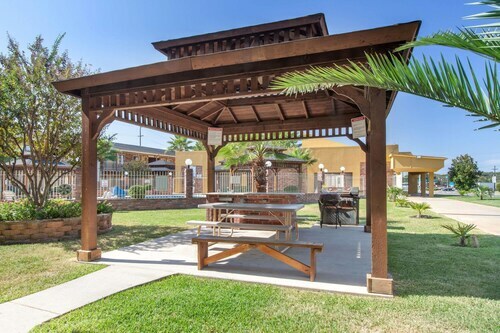 Located in the heart of Tyler, this hotel is 1.2 mi (2 km) from Broadway Square Mall and within 3 mi (5 km) of Rose Rudman Park and The Village at Cumberland Park. Faulkner Park is 2.8 mi (4.6 km) away. How Much is a Hotel Room in Tyler? 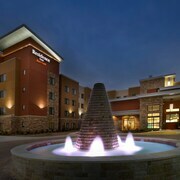 Hotels in Tyler start at $46 per night. Prices and availability subject to change. Additional terms may apply. Named after President John Tyler, the city of Tyler is situated in Northeast Texas and is famous for its abundance of roses. In addition to these romantic flowers, the city boasts numerous well-regarded attractions, intriguing history, and a charming downtown area. 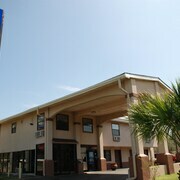 Start your trip by booking one of the many Tyler hotels waiting to accommodate you. Stroll through the Tyler Municipal Rose Garden to see why Tyler is the "Rose Capital of the World," tour the Dewberry Plantation to learn about life in the 19th century, and greet wildlife at the Caldwell Zoo. Indeed, Tyler is full of fun and exciting things to do at every turn, and is built to please those with a variety of interests. If shopping is your thing, find crafts, clothing, and antiques at the Tyler Market Center. If you love viewing paintings, then be sure to visit the Tyler Museum of Art—a gallery that rivals those in much larger cities. 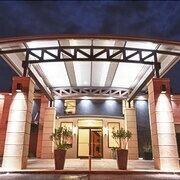 After a day of sightseeing, either relax at one of the great hotels in Tyler or head out on the town. You deserve to have fun. It's worth looking for cheap hotels in Tyler and low-cost flights to Tyler, as you'll want more money for the nighttime scene. Tex-Mex eateries, barbecue joints, and steakhouses are common options here, and you'll find these establishments scattered about the city. Midtown and the neighborhood surrounding Broadway Square Mall are particularly good spots to enjoy a meal—and a drink or two. Go out and see which places catch your eye (or nose). Tyler offers unforgettable experiences for every sort of visitor. Travelocity is your site to find cheap hotels in Tyler and other travel necessities. If you download the Travelocity app, you can save with exclusive mobile deals for vacation packages to Tyler. The money you save could go toward buying some of the area's famous roses for that special someone. Great large room, excellant bed, great breakfast and good value. Good location but need to update rooms. Beds are not very comfortable. Great hotel for the price! Clean rooms and safe area. Good restaurants close by. Closeness to the hospital. Access is easy and available.